Janroj Yilmaz Keles is a joint editor of the journal Work, Employment and Society and a Senior Research Fellow in Politics at Middlesex University Law School, researching on peace and conflict, gender, political violence, ethnicity and nationalism, statelessness, migration, diasporas and international relations, social movements and media and political communication. He is also module leader of International Politics of the Middle East and North Africa. Keles has extensive experience of international education. He studied in Turkey, German and United Kingdom. He received his PhD in Sociology and Communications from Brunel University. 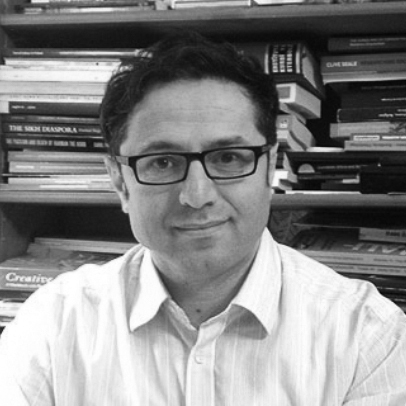 His PhD thesis, entitled "Media, Diaspora and Conflict: Nationalism and Identity amongst Kurdish and Turkish Migrants in Europe" is an interdisciplinary and comparative cross-national study based on sociologically informed analysis of mass communication, national-ethnic identity, multiple belonging and inter-group relations/conflict within diasporic and/or transnational settings. He has been awarded a research grant with Dr Neelam Raina for a study on Post-Conflict Craft Heritage of Iraq and Kurdistan – A scoping study of Samawah and Erbil, funded by Nahren Project, Art and Humanities Research Council and GCFR (£30.000). His ten years of experience in researching within higher education has comprised different roles in multiple research projects across disciplines ranging from media and sociology to international relations. Consequently, he has an interdisciplinary and cross-national comparative research background. He has a proven track record of securing external research funding, having contributed as Research Fellow or co-investigator to projects funded by the ESRC (£360,000), the EU Commission (319,456.00) the Joseph Rowntree Foundation (Clark and Keles, £60,000), and the OECD ( Dodd and Keles, £5000). As a Principal Investigator, he received small grants from the International Organisation for Migration to undertake research on undocumented migrants in the UK (£5000) and from the Council of The British Institute for the Study of Iraq for my research project on “Transnational Mobility and Digital Social Networking (£8000). Moreover, he received a Newton Fund to research the role of transnational entrepreneurship in post-conflict developing economies (Kurdistan-Iraq, £3650). Previously he worked as a Lecturer, teaching sociology and media studies at Faculty of Applied Social Sciences, London Metropolitan University and an Associate Lecturer at Department of Media and Cultural Studies at Birkbeck. He also worked at Working Lives Research Institute, London Metropolitan University where he worked for a number of cross-national and interdisciplinary research projects on migration, visual and work sociology, civic engagement and participation, forced labour, human trafficking, precarious work, labour movement and trade union, community, identity, ethnicity, racism and globalization. While he was doing his PhD, he has been part of a research team to explore 'Legitimising the discourses of radicalisation: Political violence in the new media ecology' for University of Warwick, worked for Harvard University in London on the political participation and religious integration of Muslims in Europe after 9/11 and participated in the MIGSYS research project (Professor Russell King) to examine the growing diversity of migrant types, nationalities, ethnicities, cultures, languages and motivations, especially in "super-diversity" within the urban settings such as London (see King at el 2008). International Relations, Peace and Conflict, Gender, Political Violence, Ethnicity and Nationalism, Statelessness, Migration, Diasporas and International Relations, Social movements and Media and Political Communication, International Politics of the Middle East and North Africa, Globalisation and Politics, Classical and Contemporary Sociological Theories, Sociology of Work, Globalisation and the Mass Media, Media Representations, and Globalisation, Locality and Youth, Kurdish and Turkish Migration (Germany, the UK and Sweden) as well as Transnational Political and Economic Mobility and Research Methods (Doing Sensitive Research,Visual Research and Ethnography of Computer-Mediated Communication (Nethnography)). 1.International Relations, Peace and Conflict, Gender, Political Violence, Ethnicity and Nationalism, International Politics of the Middle East and North Africa, Globalisation and Politics, Statelessness, Diasporas and International Relations, Social Movements and Kurdish and Turkish Studies. Migration, Undocumented Migrants, Asylum and Refugee Issues, Forced Migration, Forced Labour and Trafficking in Europe,Ethnic/Immigrant Entrepreneurship, Transnational Political and Economic Mobility, Kurdish and Turkish Migration (Germany, the UK and Sweden), Superdiversity, Multi-culturalism, Industrial relations and ME groups in the UK. Doctoral students welcome in the areas of International Relations, Peace and Conflict, Political Violence, Ethnicity and Nationalism, International Politics of the Middle East and North Africa, Globalisation and Politics, Statelessness, Migration, Diasporas and International Relations, Social Movements and Kurdish and Turkish Studies. Holgate, J. Pollert, A and Keles, J (2009) Union decline, minority ethnic workers and employment advice in local communities. Industrial Law Journal 38:3. 412-416. -Holgate, J, Keles, J, Kumarappan, L, Pollert, A (2010) Help and Representation for Problems at Work: what has happened to support networks and advice centres? London: Working Lives Research Institute. Keles, J (2014) Contemproary Forced Labour in Germany, Paper presented at the International Labour Process Conference, London, 7-9 April 2014. Keles, J (2011) The responses of Germany to trafficked forced Labour and extreme form of labour exploitation, conference on review of responses to forced labour in the EU, Working Lives Research Institute, London Metropolitan University, 5th July 2011, London. Keles, J. Kumarappan, L. Holgate, J. Pollert, A. (2010) Visualising 'community': an experiment in participatory photograpy among Kurdish Diaspora in the UK. Paper presented at Visual Sociology Study Group, BSA Annual Conference, 7-9 April 2010, Glasgow. Holgate, J. Pollert, P. Keles, J. (2009) Union decline and the lack of employment advice for minority ethnic workers in the UK: can community support organisations help to fill the gap? Paper presented at the International Industrial Relations Association Annual Conference, Sydney, 24-27 August 2009. Keles, J. Holgate, J. Pollert, P. (2009) To whom do I turn when I am invisible? The experiences of Kurdish workers who have problems at work. Paper presented at the British Sociological Association Annual Conference, Cardiff, 15-17 April 2009. Holgate, J. Pollert, P. Keles, J. (2009) The influence of identity, 'community' and social networks on how workers access support for work-based problems. Paper presented at the International Labour Process Conference, Edinburgh, 6-8 April 2009. 2011: Co-awarded with Nick Clark (WLRI) for investigating on Responses to forced labour in the EU. £60.000, funded by The Joseph Rowntree Foundation (PI: Nick Clark, Co: Janroj Yilmaz Keles, WLRI, Sept 2011 –August 2012). Dr Janroj Yilmaz Keles has been interviewed by Times Higher Education, BBC, Skynews, France 24, Voice of Russia, Voice of America, Monocle 24 Radio, Sputnik, Kurdish,Turkish, Iranian, Arab and Brazilian media including Rudaw TV, NRTTV, Nuce TV, Mednuce TV, Hayat TV, IMC TV, Levant TV, Shargh, Yeni Ozgur Poitika and Hurriyet Newspapers. Invited by Communication, Culture and Media Research Group at the University of Bradford, Iraq Institute for Strategic Studies and International Development Research Centre (Beirut- Lebanon), Kurdistan University of Hawler, The American University of Iraq of Oxford University's Refugee Studies Centre, Centre for Research in Ethnic Relations Seminar (CRER ), Warwick University, Embassy of Denmark and the British Equality and Human Rights Commission,TUC Black Workers Committee as well as the Trade unions and grassroots social movements to present his work and /or talk about the ongoing political instability in the Middle East. In addition to this, he has been invited by various Think Tank or Policy Institutions to participate in round table discussions on migration, "integration", social cohesion but also on Turkey, Turkey's Kurdish question, Kurdistan Regional Government, Syrian conflict. Since 2007, he has been organising seminars on issues ranging identity, ethnicity, nationalism, ethnic conflicts, gender, forced migration, racism, citizenship, human rights and minority rights and transnational media in the context of Turkey, Iran, Iraq and Syria/Kurdistan and also co-organised conferences on "Responses to Forced Labour in the EU"(July 2011, WLRI, London) and on "Study on precarious work and social rights". The academics, government authorities, trade union officials and NGO from 12 member states of EU attended above-mentioned conferences.